In Prestige Online’s “Getting to Know” series, we ask our favourite personalities what they’re like outside of work — and get a little more personal. 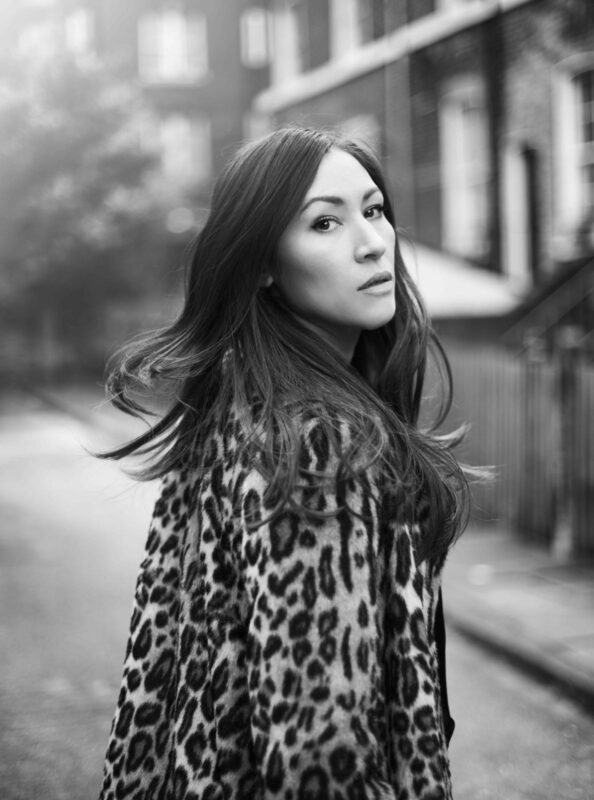 She’s played Yumiko on The Walking Dead and Baron Chau of Into the Badlands, starred in Wonder Woman alongside Gal Gadot and MI-5 with Kit Harrington — but off-screen, actress Eleanor Matsuura takes on the role of down-to-earth super mum who enjoys bad TV as much as the next person, and still fan girls over the big stars she encounters. Between filming and family duties, we caught up with the British-Japanese actress to find out what she’s up to when she’s not in character. What’s a normal weekend like for you? When I’m in Atlanta [for The Walking Dead], we don’t shoot on the weekends, which is amazing. So weekends are for a bit of line learning, bit of reset and thinking about what shooting schedule I have for next week. But also, I have a family, so my family come with me everywhere. I have a one-year old daughter, and my husband and daughter travel with me when I shoot the show. The weekends are spent with them where I’m being a mum, doing mummy stuff. Good question! Trying to pick my favourite song on my playlist would be agony — I can’t do that. It would be like “Dessert Island Discs” or something, but I listen to music all the time. I like music when I’m driving to work to film, driving on set to get me in the mood or character. I pick playlists for every kind of moment in the day to match my mood. At the moment, I’m actually going through lots of old music like The Beatles and old Bowie albums; I’m literally going through them album by album because we don’t listen to albums anymore. It’s actually kind of cool to listen to something as a complete concept album, how it was meant to be heard. There’re so many things, so many beautiful albums which I just haven’t appreciated for a long time because you just hear the songs and get used to that. It’s been really cool going back and listening to them as a whole piece. When you’ve got a night off mum-duty, what are you most likely to order at a bar? I’m a really big fan of Negroni Sbagliatos — a Negroni with Champagne. It’s amazing. Other than that, really good wine like a nice white wine or Pinot Noir. Really bad rom-coms, bad TV, and movies from the ’80s, probably because when I was a kid I just adored watching them. Any time one was on the telly, I would get completely sucked in. I love them! I don’t speak Japanese. A lot of people assume I can because I’m Japanese. It’s really awful, but I did try a couple of times to get a tutor to teach me. I got fairly far but then, if you’re not keeping up all the time, it’s really, really hard. I’m just terrible at it. My sort-of dream is to get a job in Japan where maybe I live there for a year or two, then I can start picking up the language. I just feel so guilty for saying that because I should be able to speak Japanese. Well, I’m returning to The Walking Dead and the season is ready to go. I think if season 10 gets picked up, I’m sure I’ll be returning to that. That’s kind of the next thing. I’m also doing a play in London, so I’m just finishing that up — that’s been going on for the past couple of months, which has been lovely. It’s nice to come back to London and do something completely different from the madness and intensity of The Walking Dead. Depending on what happens with my return to Atlanta maybe there’ll be more theatre, maybe there’ll be more telly — who knows really. Have you ever had a fan-girl moment? All the time! I’m terrible, I am constantly in such admiration for other actors. Whenever I join a cast or I do something new and meet a hero of mine, I’m always completely delighted and overwhelmed. I’m working with an amazing actress called Celia Imrie at the moment, and she’s just been in everything [Nanny McPhee, Calendar Girls, The Best Exotic Marigold Hotel]. I literally tell her every day that I’m in love with her and obsessed with her. But my big fan-girl moment, which is maybe kind of ‘oh my god’ I can’t say anything — would probably be Dani Dyer [The Business, Human Traffic]. It’s weird how much I’m obsessed with him. He’s doing the next Harold Pinter play that’s coming into the theatre after ours and he came to watch our show a couple of weeks ago and I just sort of ran away. I can’t talk to him because I love him too much. I admire people so much, and I’m always worried I’m going to make a fool out of myself — I either do or I make an escape. The last person that I called was probably my husband — not that interesting. Not that my husband isn’t that interesting, he is, but you know, we speak all the time. The thing about being married and having a kid is that your phone is just constantly with you at the side of your ear. We call each other all the time with updates — ‘she’s done this, she’s done that’. We’re constantly FaceTime-ing. The last meal that I had was vegetarian ramen last night before the show. It was really good, like proper Japanese food.